Are ready to adopt the Abeka teaching curriculum? We all know that incorporating values and proper beliefs in the education of our children (or even our own education) is very important, however, is Abeka the best way to go about doing that? A teaching curriculum is a system that is followed for a student's education. In the case of Abeka, this specific homeschooling curriculum provides a Christian-based education. In other words, you or your children will have a religious learning experience. But, even if you are a full-pledged Christian, taking on this curriculum will still require some careful thought. Remember, you can still be a good believer even if you don’t fully incorporate your religion with your formal education. Then again, be sure to make a complete assessment of your and your children’s needs before you say that you must or you must not take the Abeka curriculum. First of all, ask yourself, will adopting this curriculum improve your or your children’s learning? Take note that this is a Christian-based system, if you are not a Christian, then you might want to consider whether you want this program or not. You can force yourself or your children into using this curriculum, but it might not be a positive experience if you do that. 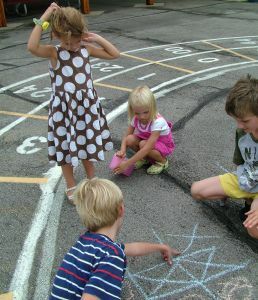 You can also ask yourself whether this program will fit your child's learning style or your teaching style. Second, weigh all your options. Maybe you have determined that a Christian education will be what your children need. However, before you fully commit to this conclusion, look outside the box first. Compare the pros and cons of this curriculum. For one, the Abeka teaching curriculum is very detailed as it guides you to the exact things that you must do and say when teaching your children. But, interestingly enough, when it comes to the educational materials, a lot of students don’t really thrive in this method of teaching and learning. Lastly, check your homeschool budget, are you willing to spend a little more for this curriculum? Let’s say that you have finally decided that this curriculum will really be the best for you or your children. But, make sure you realize that the Abeka teaching curriculum cost is higher than the typical homeschooling curriculums that you can choose from. So, can your budget handle the additional expense for the Abeka teaching curriculum? Maybe Sonlight, Alpha Omega, self-teaching, literature based, or some other form of education might better suit yours or your children's needs. 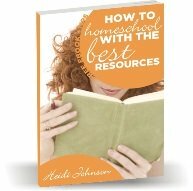 It is easy to think that purchasing a curriculum will solve all your problems and make your homeschool run on auto pilot, but in reality you need to look at what is best for your children and how they learn best. As much as we would like to see it, there is no formula for homeschooling. Parents need to spend time praying about their decisions and methods and look at their child's learning style and the curriculums and books that are available for homeschooling.